The C hypot function is one of the Math Function, used to calculate the Trigonometric Hypotenuse Value of given two sides. 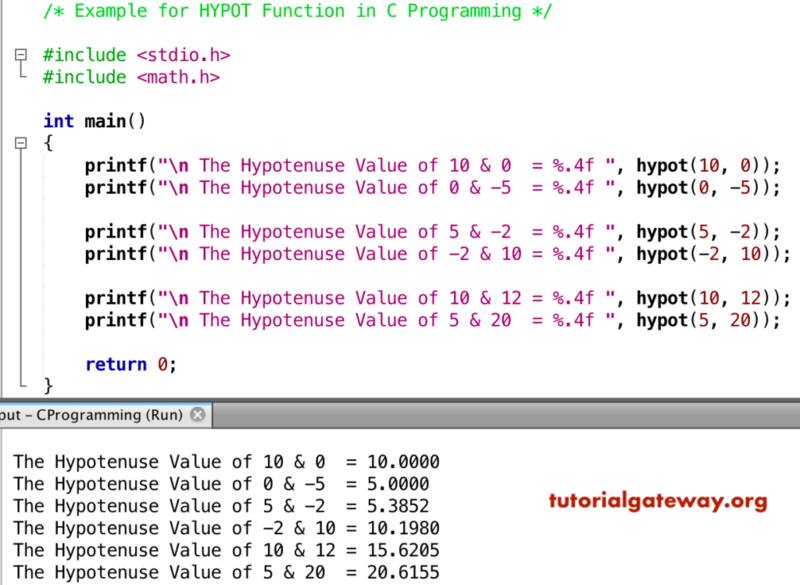 In this article we will show you, How to write a hypot function in C Programming language with example. Hypothenuse = square root of the sum of squares of two sides (specified arguments). The basic syntax of the hypot in C Programming is as shown below. 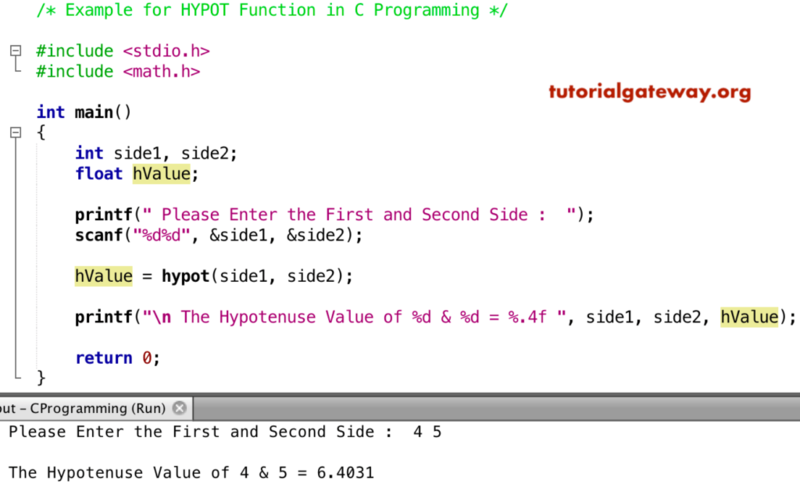 The C math hypot Function allows you to find the Hypotenuse Value of a given sides. In this program, We are going to find the hypotenuse, and display the output. In this example, we are allowing the user to enter their two sides of a triangle. Next, we used hypot function to find hypothenuse of a user given sides.